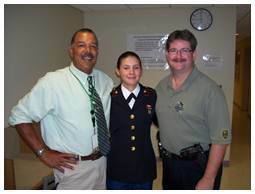 Each year since 2006 Dennis-Yarmouth Regional High School, through the School Resource Officers of the Police Service Unit, has acknowledged graduating seniors who have volunteered to join the United States Armed Forces. Graduate-enlistees are called forward before the student body, faculty, staff and parents at the “Awards Night” ceremony to be recognized. Each graduate-enlistee receives a plaque which reads, “Presented on behalf of a grateful community with respect and pride on your enlistment in the United States Armed Forces.” The remarks delivered preceding each presentation are below. Ladies and gentlemen, I rise tonight to fulfill a D-Y tradition. I rise to recognize the members of the class of 2018 who have enlisted in the Armed Forces of the United States. We recognize them tonight because once they leave they will be out of sight and we cannot allow them to be out of mind. A short story which inspired tonight’s remarks. On December 22, 2016 Assistant Superintendent Jenks and I had the opportunity to go to Groton, Connecticut to attend the christening ceremony for the USS Colorado. My son, Ben, a member of the D-Y Class of 2012, is an engineer at Electric Boat where the Virginia Class attack submarine was constructed. Ben was able to get tickets for the three of us to attend the ceremony which was held in a cavernous hanger where the 377 foot black tubular warship sat on a set of wheeled cradles on the factory floor. She had not yet met the sea under which she would sail. I was surprised to learn that the boat already had a navy crew, even though it was still under construction. Speeches were made by a number of civilian, elected and military officials before a giant bottle of champagne was smashed against Colorado’s hull and she was officially given her name. I was struck by one of the remarks made by a senior navy submariner who referred to the submarine service as, “On scene, unseen”. This was obviously a reference to the stealthy nature of the submarine but I immediately thought about “on scene, unseen” in the context of our graduate volunteers who enlist and leave. Some return for a brief visit after basic training but most just go. They don’t get to visit at homecoming and they certainly don’t get a spring break. They will be decidedly on scene somewhere in the world doing a very difficult job that most people are simply not cut out to do. They will be unseen by any us who hold them most dear because the various corners of the globe where they are likely to be sent are very, very far from the lagoon. I urge all of you to keep them in your thoughts and to reach out to them whenever you can to remind them how important their task is and how valued they are to you personally. It is gestures like these that make the arduousness of military service a bit easier. Do not allow them to feel unseen. On a night when we recognize the exceptional it is worth noting that it is 1.6% of the class that has stood up, qualified for and accepted military service before finishing high school. Since the end of the Vietnam War the armed services have depended upon volunteers to fill their ranks and fulfill their missions in times of peace and war. The task has always fallen to just a few. If that small number doesn’t define the word exceptional then nothing does. Three out of the 186 members of your graduating class have volunteered to be our sheepdogs, to guard our flock from the wolves that would do us harm. When the pack shows up the sheepdog stands between us and them with their teeth bared, ready to do great violence on our behalf, to keep the flock safe, at great personal risk. You might think that this makes them popular, but not always. The sheepdog resembles the wolf in many ways with its sharp fangs and its own brand of growl and not everyone can tell the difference between the two, especially in times of calm. The sheepdog reminds everyone that there are wolves in the land and too many would rather that the sheepdog be on his or her way to remove the reminder. That is until the wolf arrives and the entire flock gathers behind their sheepdog. Tonight, it is my honor to extend to our sheepdogs the gratitude of the Dennis-Yarmouth community. In well-established D-Y tradition, no one leaves our halls, having volunteered for military service while still in high school, during a time of war, (or peace) without hearing all of us say, in one voice, thank you. So on behalf of the greater D-Y community I say it. Thank you. You carry with you our deep respect, everlasting gratitude, and our boundless pride. We tell you these things tonight because you are not unseen and because we are D-Y and this is our tradition. We will present each enlistee with a Blue Star service banner for their family to proudly fly over their home, a D-Y Sheepdog challenge coin, and a plaque which reads “On behalf of a grateful community with pride and respect on your enlistment to the United States Armed Forces” and a quote from General Dwight D. Eisenhower "What counts is not necessarily the size of the dog in the fight – it’s the size of the fight in the dog"
I mentioned that 1.6% is a small number but our three sheepdogs will join a legion of American volunteers who came before them and are themselves often unseen. I call on all of the veterans in the room, the sheepdogs that came before, and those currently serving, to stand and be seen as I introduce our newest sheepdogs. Freedom. We consider it to be every American’s birthright and the defining attribute of America itself. Ask yourself this, would you fight for it? How far would you go, what would you do to preserve your liberty? And what would you do to defend your neighbor’s liberty? History tells us that where freedom exists there is always a sinister force nearby ready to take it away. Keeping it is hard. When the founders stood up and declared the American colonies independent from Great Britten, King George said, you want liberty, prove it. Pick up a weapon. John Hancock and the signers threw down the gauntlet and George III called us out. Eight hard years later we were our own nation. Over 241 years, in conflict after conflict, time after time American commitment to freedom has been tested. The Barbary pirates, the Civil War, fascist in Europe, communists in Asia, and tyrants in the Middle East… We have been called out. America, if you truly value liberty at home or abroad, prove it. Pick up a weapon. There have certainly been some notable moments where peaceful means have been used to secure the blessing of liberty. Their rarity is why the extraordinary American, Dr. Martin Luther King has his own holiday. Unfortunately, at too many pivotal moments in history the defense of freedom has required young Americans to pick up a weapon and go into harm’s way. So how far would you go to secure your own freedom and what would you be willing to do for your neighbors’ freedom? A few of your classmates have answered that question and volunteered to pick up a weapon and stand the watch. This choice is not for everyone. In fact it is really only for the very few. Be without doubt that our sheepdogs have assumed great risk on our behalf. Their families will spend the next set of years in a state of worry, and I hope an overriding sense of pride. In well-established D-Y tradition, no one leave theses halls, having volunteered for military service while still in high school, during a time of war, (or peace) without hearing all of us say, in one voice, thank you. So on behalf of the greater D-Y community I say it. Thank you. You carry with you our deep respect, everlasting gratitude, and our boundless pride. We tell you these things tonight because we are D-Y and this is our tradition. We will present each enlistee with a Blue Star service banner for their family to fly over their home, a D-Y Sheepdog challenge coin, and a plaque which reads “On behalf of a grateful community with pride and respect on your enlistment to the United States Armed Forces” and a quote from General George S. Patton, Jr. “If a man does his best, what else is there?" I ask that the veterans in the room please stand with me. The Sheepdogs of the Class of 2017. Click here to see the presentation on YouTube! Good evening Dolphins. The last time I stood before you I told you I did so in dread. Tonight I happily embrace the task and responsibly of addressing you for the recognition of our military enlistees. That’s what we call it for the uninitiated. That’s how it is listed in the program. In the halls of D-Y those I speak of are called Sheepdogs. In the remarks of past years I talked about the arduous nature of military service and tell what I hope is an inspirational tale from our national’s history before I get to the names. Tonight things will be different because the history I will talk about is our history, D-Y history and I was a witness. January, 2006. Principal Jenks and I were attending training on school safety and security. The instructor was Lieutenant Colonel Dave Grossman, a retired Army Ranger and West Point psychology professor. Colonel Grossman is true warrior scholar. In the course of his day-long presentation Colonel Grossman told the story of the Sheepdog. This is the story. "Most of the people in our society are sheep. They are kind, gentle, productive creatures who can only hurt one another by accident." "Then there are the wolves, and the wolves feed on the sheep without mercy." "But then there is the sheepdog. The sheepdog lives to protect the flock and confront the wolf." “Still, the sheepdog disturbs the sheep. He is a constant reminder that there are wolves in the land. They would prefer that he didn't tell them where to go, or what to do, or be seen constantly standing at the ready in his olive drab, or blue. The sheep would much rather have the sheepdog cash in his fangs, spray paint himself white, and go, Baa." The story got some play in the film American Sniper. Those of us who carry arms in defense of others for a living tend to closely identify with the story and so it strongly resonated with me. Colonel Grossman had my attention. He went on to provide the following fun-fact: every soldier, sailor, airman, and marine then serving in the armed forces, back in 2006 as is the case today, either enlisted or reenlisted during a time of war. I was stunned and embarrassed that I hadn’t done the math myself and then embarrassed again that we were just letting our kids go off to war without any acknowledgment at all. Young people were graduating from D-Y High School, volunteering for military service in wartime and no one was saying a word when they left. As a school we were recognizing academic achievement, athletic excellence; and other traditional and appropriate things like the most likely to succeed, most athletic, most musical, most dramatic, class couple, best arms, worst driver... Most likely to serve in a combat zone: not a word. The situation demanded correction. At the break, Mr. Jenks and I shared a glance; simultaneous revelation. Of the thousands of conversations he and I have had over the years this one was definitely the shortest. I asked him if there was something we could do about it, and he said yes and a D-Y tradition was born using only about ten words between us. The task was mine to create it and in June we were ready to execute on our new addition to Senior Week. There was a lot of pressure, there is every year but this was the first one, it had to be great, it was important. I didn’t realize just how important at the time. I gave a short speech. I talked about the 2% of the class that had enlisted, I told the Sheepdog story and, made remarks about walking the warrior’s path of discipline, service, truth, camaraderie and honor and then I called the ten names of the Sheepdogs of the Class of 2006. The last name I called was Nicholas Xiarhos. I remember it very clearly, Nick rose from his seat which was in that back corner and he came up and joined the other Sheepdogs for the loudest and most sustained applause of the entire event. At that Last Assembly on June 9th, 2006, it was those ten enlisted kids who brought the thunder and it was Nick who brought the lightening. The whole place was already on its feet and when I called Nick’s name the cheers got measurably louder as he made his way from the back of the gym to the podium. It was a sustained roar. It was a testament to who he was, who they were and their joint cause. Our little Sheepdog presentation was a ten and was locked in as a new D-Y tradition. Three years later Nick was killed in action serving with the United States Marine Corps in Afghanistan. That was a bad week. We waked him here, under the basket, about 20 feet from where he sat at Senior Last Assembly. The gym is hot tonight but nothing like the two days in July when my friend Ken Jenks and I with the help of Adrianna Sheedy and Eileen Whelan from the main office were getting the place ready. Seven thousand people came through this gym to pay their respects to Yarmouth’s fallen favorite son. There was a Marine Corps honor guard and police color guards from everywhere. It was a hell of a send-off. Since then we have named the field house for him, dedicated a flag pole by the baseball field, named a bridge after him; Big Nick’s Ride is in July, people everywhere are wearing the t-shirts and in a few minutes three scholarships will be presented in his name, one by me and two by his dad. I would like to think that his name has been preserved and his legacy has been secured, but, cards on the table, none of that makes me feel any better or helps me to carry the loss. I find my solace in knowing, beyond any doubt that Nick knew, before he left this gym that day that he was valued, and that his choice to serve was respected and appreciated. Not too many days go by that I don’t thank God that we acted when we did, because 2007 would have been too late. This is subject matter I normally avoid during this presentation because I don’t want to be the cause of any additional anxiety to people who are about to officially become Blue Star families. If military service was safe and mundane I would be standing over by the fan waiting my turn to give out money to scholars, but it’s not. There is risk. This was not about Nick but Nick became the personification of what this is about. We say thank you now because there might not be a later. Tonight we recognize eight patriots who have volunteered. What they are going to do is risky… and they are going to do it anyway. They do it willingly and they do it on our behalf. And I don’t think we could stop them. We couldn’t stop Dave or De’Andre or Nicole any more than anyone could have stopped Nick from enlisting. It is simply part of who they all are. It is how they are built and part of what makes them special. They will take up arms for us and they have accepted the responsibility of guarding the flock and confronting the wolf, because they are sheepdogs. Furthermore, no one should ever leave theses halls, our halls, having volunteered for military service while still in high school, during a time of war, (or peace) without hearing all of us say, in one voice, thank you. So on behalf of the D-Y community I say it. Thank you. And I ask the eight of you, that when things get tough, you remember tonight, and draw strength from us, enough to power you through it. We love you and we’re proud of you; so keep your head on a swivel and come home safe at the end of your tour. We tell you these things tonight because we are D-Y and this is our tradition. Each enlistee receives a Blue Star service banner for their family to fly over their home, a D-Y Sheepdog challenge coin, and a plaque which reads “On behalf of a grateful community with pride and respect on your enlistment to the United States Armed Forces” and a quote, “Don’t worry about me Mom. I’m living the Dream” Corporal Nicholas Xiarhos, United States Marine Corps. Veterans, please stand as I call up the Sheepdogs of the Class of 2016. Friends, Dolphins, Americans I present the Sheepdogs of the Class of 2016. "The shepherd drives the wolf from the sheep's for which the sheep thanks the shepherd as his liberator, while the wolf denounces him for the same act as the destroyer of liberty. Plainly, the sheep and the wolf are not agreed upon a definition of liberty." These are the words of Abraham Lincoln. Spoken well over one hundred years ago, President Lincoln’s observation still stands to pointedly describe the complexities of freedom and capture the difficulty of the shepherd’s role in preserving it. While I would not presume to rewrite such a legendary orator as Mr. Lincoln, for our purposes tonight we replace the word “Shepherd” with “Sheepdog” and we are off and running. For many years it has been a D-Y tradition to honor our graduates who have chosen to enlist and serve in the United States Armed Forces forthwith upon leaving the safe embrace of The Lagoon. We started this tradition because America was at war and conscience demanded that we acknowledge the decision of those young people to volunteer, for whatever reason compelled them, to put themselves in harm’s way. The wars are over but the danger has not has passed. It has been displaced and transformed and in many ways intensified, but not passed. Freedom and the American way of life remain under threat from forces around the globe and now perhaps here at home. The preservation of our freedom will require legendary vigilance. The job will fall, as it always has, to the few young volunteers who put self aside and stand posts on six contents, and man the watch on the seven seas and five oceans. The thing about freedom is that there is always someone trying to take it away from someone else. It takes very special people to hold the wolf at bay or to engage him outright and to do it in such a way that liberty is persevered for the flock. We call these special people Sheepdogs. The Sheepdogs will know hardships only those who have served before them will understand; they will forge bonds with their brothers and sisters deeper than the best friendship. They will know loyalty, they will know discipline, and they will know honor. They will be the shield the rest of us will stand behind and they will write the check that all of us get to cash. The next time you take a day off and go to the beach, and you decide to step into the shade and take a sip of a cool drink, I encourage you to take a moment to think of your Sheepdogs who are somewhere in the world guarding our flock. They may be standing in the sand, but there will be no beach nearby. The drink they take will be from their canteen filled with water heated by the sun or chilled by the cold. Their next day off may be eight months away. War or no, America will continue its struggle to protect its citizens and secure freedom at home and for our allies in these most difficult times. The job will continue to be done by the few. For the Class of 2015 that job has been claimed by four souls from this sea of green. To them and on behalf of the Dennis-Yarmouth community I loudly announce our pride and offer our humble and everlasting gratitude. In the words of Winston Churchill, to our graduate enlistees, I say. “This is no time for ease and comfort. It is the time to dare and endure.” Our Freedom is in your hands, God speed, God bless and thank you. We are D-Y and this is our tradition. The Sheepdogs of the class of two thousand fifteen. In the late hours of Christmas night 1776 George Washington and his troops quietly navigated a flotilla of boats, through the cold December night and the icy water to the New Jersey banks of the Delaware River to boldly execute a surprise attack on a groggy Hessian garrison in Trenton. An immediate victory was necessary to sustain the faltering cause of the American Revolution. A similar effort was launched on June the 6th, 1944. It was just about sunrise when nearly seven thousand vessels emerged from the darkness into the dawn off the beaches of Normandy. They would deliver 156,000 men to the shore that morning to begin the liberation of Europe from the grip of the Nazi fist. Thousands of paratroopers had already dropped out of the night sky well ahead of the landing force to begin what would come to be known as, “The Longest Day.” An immediate victory was just as necessary here to free the world of the fascist scourge. Both missions were turning points not only in American history but in the history of the world itself. It is much more than a historical fact that both missions were launched from darkness into the light of an illuminated battlefield but a metaphor that the valiant acts of young Americans would bring with them the bright light of freedom shining like the morning sun and they would deliver those badly needed victories when they were needed most. We easily remember the names of the leaders of theses historic events and praise the nameless troops who served the effort so courageously, in what has become the best tradition of the American soldier. In his message to the troops that June morning seventy years ago General Dwight Eisenhower said in a message addressed to the “soldiers, sailors, airmen of the Allied Expeditionary Force,” “The eyes of the world are upon you. The hopes and prayers of liberty-loving people everywhere march with you.” The outcome of the endeavor in Normandy and the one on the Delaware River were very far from forgone conclusions at the time. I’m sure no one was basking in the light of a metaphor as those very long days unfolded. The times were dangerous, tumultuous and uncertain. Sound familiar? It is only in the 20/20 hindsight of history’s rearview mirror that the purpose and nobility of those missions appears so clear. It was clear enough at the time to those young Americans, resolute in their purpose, who stepped out of the darkness and changed the world. Today young Americans, as they did back then, have answered the call to serve in the face of the uncertainty of our own times and they do so with their own brand of quiet resolution. We reverently remember the service, sacrifice and fortitude of Christmas 1776 and June 6th 1944. Tonight, on a Thursday evening in 2014 we celebrate young people who have heard and answered a call to serve. We stop for just moment to say thank you to the members of the Class of 2014 who would stand as Sheepdogs to watch over the flock, quiet and resolute. Resolute, like the soldiers who pushed the ice away from prow as the Marblehead Regiment rowed the boats to the New Jersey side so that they could march into battle against a superior force. Resolute, like the soldiers who glided to earth out of the night sky on a canopy of silk into the heart of the enemy’s stronghold to rend it from his grasp, or to step out of the Higgins boats onto Gold, Sword, Juno, Utah or Omaha Beach. We don’t question their reasons for volunteering; we accept that they are resolute in their hearts and in their desire to serve. In so doing the rest of us are free to go about our business and to pursue our happiness as we see fit, free of tyranny and oppression. We can do so only because the sheepdog is vigilant. Tonight we say thank you to our Sheepdogs, the very few among this outstanding group of young people who have distinguished themselves by choosing the path of service over self to the benefit and protection of the rest of us. We say thank you to those who have volunteered for the Armed Forces of the United States before their high school graduation. Would the veterans here in the room with us tonight please stand with me? To Corey, Kyle, Olivia, Alyson, and Jacob, we sincerely hope that you never have to emerge from the darkness to change the world. If you do, remember that out of that darkness it will be you who brings the light of freedom to that world. Remember that ‘the hopes and prayers of liberty-loving people everywhere march with you’. And remember tonight when the Dennis-Yarmouth community, in one voice, said thank you. We do so because we are D-Y and that is our tradition. I rise this evening, on the 59th anniversary of the “Longest Day,” D-Day, to recognize the members of the class of 2013 who have enlisted in the Armed Forces of the United States. During World War II the free peoples of the world banded together and fought an iconic and supremely evil enemy. Today and for more than a decade we fight shadowy, faceless international terrorist organizations alongside some allies that can be difficult to tell from our enemy. The way to victory under these circumstances can be unclear. What is perfectly clear is that in the world that has existed since September 12, 2001 young Americans have shown amazing resolve and answered the call to arms, not from their country, but a call that originates from within their own hearts. Every year D-Y students enlist; just like so many of those men who ran down the ramps of the Higgins boats onto the Normandy beaches and scaled the cliffs to force the liberation of the European continent nearly six decades ago. By enlisting, todays honorees join scores of other D-Y graduates who have become part of the legacy of the D-Day soldiers and all of those who came before and after them stretching back to those who risked all to stand with George Washington in 1775. Different from D-Day, the all-volunteer force that we enjoy now provides an unprecedented level of normalcy to those of us at the homefront that enjoy a life uninterrupted by the conflict, heavily insulated from those who stand in harm’s way on our behalf. We suffer shortages of nothing while a very small number of service members face the danger and their families carry the weight of worry. For that reason it is our tradition here at D-Y to say thank you to our graduate enlistees before they leave the fold. When the wolf growls at the door you will be standing behind them and they will be standing between you and the wolf, they are your sheepdogs; they are our sheepdogs, and so I invite you to stand behind them tonight. To Rory and Erik, I invite you to remember this day. When the time comes to dig deep, in training or elsewhere, and you think you have gone as far down as you can go, remember today when the D-Y community stood and with one voice said we are proud of you, we love you, and we thank you; and let that carry you the rest of the way. Fellow veterans and active duty service members please stand with me. Friends, parents, seniors I present the sheepdogs of the class of 2013. Good evening, I rise tonight on behalf of the Dennis-Yarmouth community to humbly and happily carry on a uniquely D-Y tradition. Each year we recognize the very high level of commitment demonstrated by those among the graduating class who have enlisted in the United States Armed Forces. You are the first family members to not just witness this tradition but to be invited to participate in it. These enlistees are joining an institution older than the country itself. They will carry on traditions that find their roots in a history that stretches back to the establishment of the Continental Army in 1775. Their military service will be the most formative experience of their lives. The change you will see in them will be dramatic as their character is forged by the sacred guiding principals of duty, honor, and courage. Moms, don’t fret, your baby is still in there; he just stands a little taller now and his eyes are a little sharper. If you accept the premise that it takes a village to raise a child then I call your attention to this impressive assemblage before us that we have all had a hand in rising. Of a class of 199 children raised by our village, starting in your home, with you their parents, there are seven of them who have assumed a very special role. While the village goes about its business, rising children and doing the other things a village dose, it will be these seven who watch over it and everyone in it. They have chosen assume the mantle of the sheepdog that willingly puts itself between the wolf and the flock. A sheepdog must remain vigilant while the sheep go about their business. A sheepdog must occasionally bear its teeth to the wolf, teeth that are just as sharp and frightening as the wolf’s own. This tends to unsettle the sheep. A sheepdog is always ready, for there is always a wolf about. Momentarily I will call the names of these seven and they will stand before you and their classmates. They will form a line and I want you to think about how big that line is or rather how very small. Metaphorically speaking, if the wolf comes tonight we all have to fit behind them because they will be the ones who confront it on our behalf. Our seven enlistees will stand with many D-Y graduates who enlisted before them and those who go with them from the graduating classes of other high schools. Their relative number is tiny. These seven graduate enlistees represent about 3½% of the class of 2012, a number easily overlooked or dismissed as insignificant – at any other school but D-Y. At the end of the evening we will rightly and enthusiastically recognize the top 10% of the class. 3½% to stand for the all the others: there is something very special about that and it does not go unnoticed here. We live in a time that will be looked upon as the longest period of war in American history. Yet brave young people still emerge, in this case from our village, from this class with a sense purpose so strong that they would put aside a life of comfort to join the very few others who serve. There is no draft; they are all volunteers and each has his or her own reason for making this important decision. When I spoke to one of our enlistees a few days ago he told me he did not want to be included in this ceremony. I told him I was prepared to respect his wishes and I asked him why. With a firm handshake and a look straight into my eyes he told me he “didn’t do it to for the recognition.” I gave him the only answer I could. I told him “none of you did and that’s why we have to recognize you.” I am pleased to say he reconsidered and I will call his name tonight. This is just one example of what our village has produced. Tonight I rise on behalf of the village to say that we are proud and we are grateful. I will present the enlistees with two things this evening. The first is a plaque which reads, “Presented on behalf of a grateful community with respect and pride on your enlistment in the United States Armed Forces.” and a quote from Winston Churchill, the only foreign citizen to have a United States Naval vessel named for him. The words are in reference to the Royal Air Force after the battle of Britain and I think it is applicable to the United States soldier and truer now than it ever has been at any other time. The blue star represents each family member serving in the Armed Forces of the United States during any period of war or hostilities in which our Armed Forces are engaged. We are short one flag because I could not find one that has two stars on it, but I will. It is for the family who tonight celebrates their graduate who will join his brother as a United States Marine currently deployed to Afghanistan. I am now going to introduce a little audience participation into our tradition. If you served or are currently serving in the United States Coast Guard please stand and be recognized. If you served in the United States Navy please stand. As I call the enlistees please stand when you hear your branch of service. To the enlistees, please take a look around the room and acknowledge those who stand with you. It was they who kept liberty’s torch lit in their youth, the same torch that is now passed to you to keep burning brightly. As much as we owe to you, we owe them our deepest gratitude. The sheepdogs of the class of 2012. Good morning one and all. You have all turned out on this Monday holiday to recognize if not celebrate Memorial Day. It’s the day when we take some time to honor those who have fallen in battle and those who have served, as well as the men and women who are currently serving under the flag of our great nation, both nearby and in far off lands. Some of you must be wondering why you are listening to a police officer on Memorial Day when it may be more appropriate to be listening to a member of the armed forces. It’s a valid question, even I’m not sure I am the right person to be speaking today. Let me try and earn it. Before I was a Yarmouth Police Officer I was a soldier in the United States Army. This was so long ago that Ronald Reagan was the President of the United States and Germany was two separate countries. I did my entire tour of duty in West Germany, which was considered a forward area at the time. I served with a 2nd Battalion, 66th Armored Regiment of the 2nd Armored Division (Forward. )We were the “Iron Knights.” I was a cold warrior, we stood on a line showing the Soviet Block that the very few of us were more than ready to take on a whole lot of them. We had good equipment, we kept it clean and maintained and we trained, and trained, and trained so that anyone watching would be deterred from aggression against Western Europe because we were so ready. In retrospect, my enlistment was downright luxurious compared to the conditions of today’s deployments. With that said I did serve on foreign soil under our flag for an extended period of time, that being the case I have a developed a great respect for those who have done the same. At the end of my tour I came home with an honorable discharge, no longer the boy I was when I left, but the beginnings of the man I would become. My veterancy is of consequence only to me. I’m not even sure I qualify as a veteran under certain definitions of the term. Regardless, it is the foundation upon which my entire adulthood has been built. It was the transformative force that has guided me thus far, and continues to guide me through every experience in my life. That piece of me that is a ‘soldier’ is always there and will always be there. I know what the service did for me and I do what I can to support young people who choose a similar path. Now you have some context so let me tell you the story that brings me here today. I have been serving as school resource officer at Dennis-Yarmouth Regional High School for what will soon be 18 of my 25 years with the Yarmouth Police Department. Since prior to my assignment there, on the Friday before graduation D-Y holds the “Last Assembly” ceremony. Really, it’s the only assembly attended by the entire student body, faculty and staff. There are too many people to fit in the auditorium so we assemble in the gymnasium. It is a truly wonderful farewell to the Senior Class where a variety of student talents and achievements are showcased and celebrated. It is perhaps the nicest event of the year and had been largely unchanged since I attended my first one in June of 1995. I never had cause to question the format or content of the event and as the new guy it wouldn’t have seen it as my place to do so if I did. Flash forward to January,2006. My good friend, Principal Ken Jenks and I were attending training on school safety and security. The instructor was Lieutenant Colonel Dave Grossman (retired,) a former Army Ranger and West Point Psychology Professor, a true warrior scholar. In the course of his day-long presentation Colonel Grossman provides the fun-fact that every soldier, sailor, airman, and marine then serving in the armed forces either enlisted or reenlisted during a time of war. I was stunned. Not that young Americans had the fortitude to go into harm’s way, no surprise there they had been doing that since George Washington first asked them to. No, I was shocked that I hadn’t done the math myself and then embarrassed that we were just letting them go without a word. Young people were graduating from D-Y High School, volunteering for military service in wartime and no one was saying a word when they left. As a school we were recognizing traditional and appropriate things like the most likely to succeed, most athletic, most musical, most dramatic, class couple... Never mind most likely: Those probably going to war, not a word, they just go. This situation had to be corrected. At the break, Mr. Jenks could see it on my face and I could see it on his, simultaneous revelation. Of the thousands of conversations he and I have had over the years this one was definitely the shortest. I asked him if there was something we could do about it, and he said yes. The details would follow but a D-Y tradition was born at that table at that conference using only about ten words between us. Now we recognize graduating seniors who have completed the enlistment process at the Last Assembly ceremony. We take about six minutes out of the hour and a half program to do it. I have the privilege to make a few remarks to put the recognition into context and then I get to call their names. They come to the podium and we give them a handshake and a small plaque, and then they turn to face their school and they are received by their teachers and peers. In a ceremony filled with applause for all manner of things, our graduate enlistees evoke thunder. The crowd has never failed to take to its feet, students, teachers, secretaries, and lunch ladies in sustained and deafening ovation. Through the remarks, the plaque and the applause the message is a very simple one – Thank you. Every one of those students has a personal reason for enlisting which I would never presume to analyze, much less judge. We don’t even ask. For they have chosen to go into harm’s way, and whatever their reason, we are the beneficiaries of that choice. So we do what polite people do when someone does something for you. We say thank you. Since we started this tradition seven years ago I have called 38 names of graduate enlistees. This has become a very important thing to those students. Sometimes as the year progresses I get a running update on their enlistment process and, more often, unassuming student’s emerge from the anonymity of the crowd, students I have never seen before let alone met, to bring me their enlistment documents so they can share in that special moment we are happy to give them. But make no mistake, do not be confused, this is not some “nice” thing we do for those kids. This is an imperative. This must be done. We can no longer let them leave without hearing us say thank you before they go, without letting them know how proud we are of them. The reason is one that can never be given voice in the D-Y Gym during that celebration. It’s a reason that doesn’t need to be spoken, except maybe here today. We do this because the nature of their vocation is such that it brings with it a risk that we will not be able to tell them when their tour of duty ends. We know that some of them may not come home safely… and that has come to pass. One has fallen. I didn’t know it at the time but I am now convinced beyond doubt that it was Divine Providence that Ken Jenks and I sat in Dave Grossman’s class on that particular day. From God to Grossman to me and Ken the message was sent and we received it. There was clarity of necessity at the time that has only become clearer and more necessary as the years have passed. It was never a question of: ‘Do we do it?’ It was always, ‘How do we do it.’ So we discussed our options and we picked out a time during Last Assembly. For days beforehand I labored over the remarks I would deliver that during the ceremony. It was important. The pressure was tremendous. There was no way I could know how important it was at the time. I composed seven or eight versions of the two minutes worth or remarks until it was just right. It had to be just right because I completed the last version about five minutes before the ceremony began. When the time came I called ten heroes, wearing green graduation gowns out of the class of over 200 seniors. The last name I called that Friday morning, the very first time we ever did this, was Nicholas Xiarhos. Let that sink in for a moment and you will understand what I mean by Devine Providence. This brings us squarely to Memorial Day. Can you have a Memorial Day event in Yarmouth without talking about Nick Xiarhos? I think the answer is no; I can’t. Because I knew Nick and I know his family, every day is Memorial Day now. This in no way diminishes the sacrifice made by anyone else in Yarmouth’s history or in someone’s family history that was killed in action. Some of our war memorial stones around town have names on them and some don’t. I would like to think that when those soldiers fell they were remembered reverently and talked about fondly by those who knew them and those who knew of them for as long as the following generations could sustain their memory. Today we are living our piece of history and Nick is a part of it. He is certainly part of my personal history. It falls to those of us who knew him and knew of him to sustain his memory for as long as our descendants can sustain it, and today I do my small part to that end. At that Last Assembly on Friday June 9, 2006; if it was those ten enlisted kids who brought the thunder then it was Nick who brought the lightening. The whole place was already on its feet and when I called Nick’s name the cheers got measurably louder as he made his way from the back of the gym to the podium to join those who would become his brothers. It was a sustained roar which I have not heard the like at any other time except when we present graduate enlistees. It was a testament to who he was and what he meant to everyone in that room. He was something special. Nick was possessed of an integrity and sense of self unique to a high school kid. His values allowed him to reach out and be a friend to everyone he met; and everyone he met regarded him as a friend. He was driven to a single purpose, to become a United States Marine. No one in the world possessed the power to dissuade him from that goal. He became a Marine, and one admired by other Marines. Nick was a young man of tremendous character, thoughtful conviction, and compassion for others all traits firmly attached to a steel backbone. Rest assured, Nick was more than worthy to be our local hero. He was one in a million and when I think of him I also remember that he is one of millions who served and died in the course of that service, men and women who possessed their own memorable qualities, who left behind loved ones so that we may live free and safe. I remember each of their sacrifices through Nick’s memory and that is why for me every day has become Memorial Day. I ask you this, what if we had said nothing before he left. What if we let him go without a word from his community? Can you imagine if we had waited one more year to ‘think it over;’ to determine if school is the proper place to honor military enlistees; taken some time to find out what other schools do [nothing,] or formed a committee to come up with the right time and place ‘appropriate’ for such recognition. Those options never occurred to us. We knew the right thing to do and we did it and I frequently thank God we did. I don’t know how I would have lived with myself if we hadn’t given our graduating soldiers a proper send-off starting when we did with the Class of 2006. This tradition will continue and I challenge other high schools to follow our lead. Yes, there are a few naysayers out there. Hear me clearly and have no doubt, we are undeterred by protest, unflinching in the face of criticism, and we will not be defined by a minority of voices who for some reason are confused by what the words, “thank you” mean. The D-Y High School community, its students, administrators, teachers, support staff, its police detachment, and by extension the Yarmouth Police Department stand with and for our graduate enlistees and we demonstrate that every year when over 1,000 people take to their feet and raise the roof with their thunderous roar. We stand behind them and they will receive the send-off they deserve. We are proud and we are grateful and they will know it. We are D-Y and this is our tradition. Thank you for indulging me and my story. All the remarks delivered at the Last Assembly ceremonies back to 2006 can be found at www.DYPD.us under the Sheepdog section if you are interested. I hope I have earned this honor of speaking to you on this important occasion. God bless our troops and their families who bear a tremendous burden for all of us; God bless our veterans for their contribution to our liberty and way of life; and God bless the fallen, not just on this Memorial Day but every day, for their absence is keenly felt. For six years I have been permitted to come to this microphone and address this very special assembly to recognized members of the senior class who have enlisted in the armed forces of the United States. I regard it as one of the most important things I do here. I put considerable effort into coming up with words important enough to speak into a microphone and worthy of those people we intended to honor. On those previous occasions I told stories from history, talked about what it means to walk the warrior’s path and the gravity of the oath our enlistees have taken. I talked about virtues like volunteerism, commitment, and of honor. And all of this started in 2006 with the story of the sheepdog who willfully chooses to stand alone before the flock and confront the wolf that would do them harm. All of those words were intended to convey one very simple message; a message that is normally delivered in just two small words. Thank you. Today I bring you no history except for our own. I have brought you no story to engage you mind’s eye because no embellishment is required to emphasize what six of our seniors have done. They have enlisted in our armed forces in a time of war. The message we convey today must be clear and without veil. Thank you. Thank you for standing up for all of us. These six members of the senior class will doubtlessly come to find that military life, while formative and rewarding, certainly has its hardships. They will have their bodies, minds and spirits tested in ways difficult to imagine for those who have never done it. To the enlistees I say this to you: When the times are toughest, whether in basic training, in the field or aboard ship, I want you to think of today, and remember the gratitude and the pride you felt when D-Y stood up for you and in one voice said thank you, and draw strength and resolve from all of us. We will present a plaque to each graduate enlistee that reads, “Presented on behalf of a grateful community with respect and pride on your enlistment into the United States Armed Forces.” and a quote. We put our freedom in your hands to preserve and to protect. We wish you Godspeed and a safe return; and we say thank you. We are D-Y and this is our tradition. I present the Sheepdogs of the Class of 2011. Several years ago newsman Tom Brokaw wrote a book called The Greatest Generation. It was about the people who grew up during the Great Depression and went on to fight and win World War II. The term “The Greatest Generation” has become part of our national shorthand to describe those people who lived though some of the most trying times in our nation’s history. When Pearl Harbor was attacked on December 7, 1941 thousands of young Americans went to their neighborhood recruiting office and enlisted to avenge the surprise attack in the Pacific. World War II was already two years old in Europe. A few short days later on December 11th, Germany declared war on the United States. Millions more would be needed to defeat the combined enemy of the Axis powers. Many, who did not enlist, like my grandfather, answered the call to serve their country through the draft which provided the manpower needed to achieve victory in Europe and the Pacific. Secretary of Defense Melvin Laird ended the draft on January 27, 1973 with the conclusion of the Vietnam War. Since then the United States military has been an all volunteer force. With the exception of short operations on the island of Grenada and in Panama in the 80s a period of relative peace followed. That peace was broken on September 11, 2001 with the attacks on the World Trade Center and the Pentagon. The draft would remain a part of American history, even in the aftermath of that terrible Tuesday morning. The Armed Forces would depend on the spirit of young Americans to rise to the occasion on their own, as so many from previous generations had done before in times of similar national crisis. There would be no draft to augment the relatively small number of volunteers who rallied to the flag this time. Instead, the full burden of fighting what would become two wars simultaneously has fallen exclusively on their shoulders. There is no surprise in that a few have borne the burden for the rest, it has become an axiom; like the lone sheepdog that chooses to stand between the flock and the wolf. The truly astounding thing is that in the longest period of prolonged war in our history, second only to the Revolutionary War itself; we can still find that volunteer sprit amongst you. As I bid my twenty-two year old cousin Andre goodbye six weeks ago, before he left for Army basic training at Fort Leonard Wood I pondered aloud to the assembly of family and friends: If we rightfully call my grandparents the people of the “Greatest Generation”, what will history call this generation of volunteers who are doing it on their own. What is greater than the greatest? The privilege is mine to announce the members of the class of 2010 who have enlisted in the United States Armed Force. While that sounds like something a Viking might shout from the deck of his long boat just before an invasion, it is a saying that actually appears on your driver’s license. Is it the motto of the Commonwealth of Massachusetts and it is there to remind them that no matter how far away their travels take them, they and their spirit came from here. Samantha Hudson left D-Y to report to basic training prior to graduation exercises for the Class of 2010 which were held on June 12th. Her last day at D-Y was Friday May 28th. 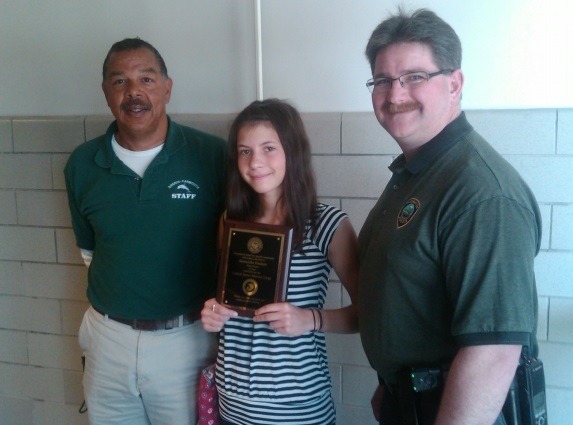 Sam was recognized for her enlistment by Assistant Principal Tony Morrison and School Resource Officer Nick Pasquarosa in small ceremony before a group of her classmates on her last day at D-Y. Sam is the only graduate to leave D-Y for the armed forces prior to graduation and return from the military to receive her diploma since a group of World War II veterans were awarded theirs in 1998. Thomas Jefferson said, “The boisterous sea of liberty is never without a wave.” If liberty were a placid lake then there would be no need for soldiers; or police officers for that matter. I could become a fireman, everyone loves a fireman. Simply put, Thomas Jefferson was saying that freedom is hard. It’s hard to get it, it’s hard to keep it, and we have seen over the last several years that it is not at all easy to share and you can not give it as a gift. Certainly human history tells us that freedom is never given and there is always a dark force waiting to take it away. In the relatively short history of America we have had to rest our own liberty from a tyrannical power, and then fight a second time to keep it; we have fought ferociously amongst ourselves over the very meaning of freedom, and we have stood up to the challenge of two world wars to preserve it. The peace that followed each of these events was always short lived. While we patiently wish and wait for peace to break out in our own time we would do well to know that when it comes it will not be permanent. Because of the unique role America plays in world affairs it is prudent to assume that when the dark forces rise again the free world will turn to us to take a lead in opposing it. This reality requires our vigilance and that vigilance takes the corporeal form of dedicated young men and women in uniform, standing ready to answer the call. I find comfort that amongst you there are some people who are possessed of that special character we have discussed here before; those who have placed service above self, and made the decision to embark on a journey that will doubtlessly be the most formative experience of their lives. I was asked last week why we recognize military enlistee’s at Senior Last Assembly. Why don’t we recognize others who aspire to public service, like those who aspire to be police officers and fire fighters and teachers? The reason is that military enlistment is not an aspiration it is a commitment to a way of life and one that starts for these honorees almost immediately. In fact one of the people whose name I will call leaves for basic training on Sunday and is not here with us today nor will he be with us on the field tomorrow because he has already begun his military service. Furthermore, aspirations can change over time. If, for instance, you get into police work and find it isn’t for you, you can always quit. No such option is available for someone who has raised their right hand and sworn to uphold the Constitution and defend us from all enemies, foreign and domestic. As it happens, this is one of the best attributes of an American soldier… They don’t quit. Each of these honorees has personal reasons for making the choice to join the armed forces. I would not presume to speak to those reasons but I can speak to the tremendous pride and admiration we have in them for making it. While today’s current events are rightly and passionately debated, the reality is it will be at least forty years before we truly begin to understand their historical significance. A war is right / a war is wrong, is not the issue of today’s presentation. This decision, made by the few, for the benefit of the many is. They have answered their own call and will become a part of that history on our behalf. If the “The boisterous sea of liberty is never without a wave” then these fine young people are our breakwater. If we do not recognize them now, then when? Now, I am privileged to introduce the members of the class of 2009 who have confirmed orders for their enlistment into the United States Armed Forces. Mr. Morrison normally stands with us. He could not be here today. He asked me three times to make sure I told you he would be here if he could. He is attending the funeral of a member of his National Guard unit who died in a traffic accident during training. Mr. Morrison could not be here; Sergeant Morrison simply had to be there. He knew you would understand that. Our remarks this morning are about those among you who have decided to stand up and do something. In the coming weeks and months many of you will be settling into your dorms and starting your classes, some of you will be meeting the new boss, while these few of your classmates will be completing basic training. In the same coming weeks and months each of them will raise their right hand and take an oath. Some have taken it already. By taking the oath they have made a solemn pledge both to their country and to all of us. Having taken the oath ourselves we can attest that it is no small promise. By raising their hands they pledge to defend America from all enemies’ foreign and domestic. In so doing they will join ranks with dozens of recent D-Y graduates serving our country in uniform during a time of war.  They will stand shoulder to shoulder with them, forming a wall of navy blue and of digitally flecked sage green, a barrier between all of us and a dangerous world. They volunteered to stand watch as the sheepdog watches over the flock and to face the perils associated with such an endeavor, freely and without any mental reservation. They stand up to be a part of something larger then themselves; the ideals of service, self-sacrifice and of liberty for all. While we go about the business and frivolities of our lives here at home they will be standing posts, on the decks of ships, along flight lines and certainly in the desert heat. By doing this they have said: ‘not on my watch.’ It is no small promise. When we lay down our heads at night, and pull that warm blanket of freedom up over us, we should all take a moment and think of those who provided it and where it was that they spent the night. When we wake up in the morning we would do well to remember that the price of that peaceful nights sleep is paid by them - because they took an oath and made no small promise. We recognize them in this forum because to just let them go, without a word, would be wrong. We invite you to join us in publicly giving them the thanks and recognition they rightly deserve. “The world is a dangerous place, not because of those who do evil, but because of those who look on and do nothing.” So that they and their families never forget that they were among the few who chose to do something. We now call the names of those who have volunteered. Two weeks ago D-Y hosted veterans from several of America’s past armed conflicts. We took that opportunity to pay tribute to their service to our nation and give them a richly deserved hero’s welcome. To look at those men, particularly those of the vanishing World War II generation, it was probably difficult to see the fresh faced school boys that they once were in their youth. Perhaps it was harder to imagine that the fate of the free world once rested squarely on the shoulders of those boys who would become men on the beaches of Iowa Jima and Normandy and the hundreds of other battlefields across Africa, Europe and the Pacific theater. We rightly call them heroes though they seldom think of themselves in such a way. If you ask them they will tell you they did what was asked of them and nothing more...because their country called them to serve. Today our country doesn’t call. The armed forces are populated solely by volunteers. What’s more, everyone serving today enlisted or reenlisted during a time of war. I pose a question: for the past four years have heroes been walking among us? In the crowd of fresh faced school boys before me is there someone who will distinguish themselves with valor. Is that the true test? Or is the distinction in the service itself? Most in the military serve in support roles and are not intended to see action on the front line. But when the Blackhawks were going down in Mogadishu in 1993 and Task Force Ranger, one of America’s Elite fighting forces, was cut off, surrounded, and without back up. When 117 men found themselves fighting the entire city, it was the cooks, mechanics and air traffic controllers that grabbed their rifles, donned their armor and mounted their humvees and rode to the rescue. That is the heart of the volunteer. Those who step up to be America’s next generation of sheepdogs may not be decorated in medals or serve in elite units and maybe they will. It is enough that they have volunteered and we are confident that they will do so with honor. They day may come, when they are older, with only the lines across their face to tell their tale, when they sit in some high school gym to me recognized. I for one don’t think we should wait sixty years to say thank you and give them a hero’s welcome. Last evening, at awards night, we celebrated the achievements of many of the members of the Class of 2006. This morning I draw your attention to what amounts to just over 2% of your classmates who have also distinguished themselves and who may have otherwise gone unnoticed. Those who have chosen to walk the warrior’s path. It is important to note that everyone serving in the armed forces today enlisted or reenlisted during a time of war. And regardless of whatever personal views you may have on this war or a war or war in general, I submit to all of you assembled here that their decision to enlist demands your respect. “Until the wolf shows up; then the entire flock tries desperately to hide behind one lonely sheepdog.” Those are the words of Colonel Grossman. We walk the warrior’s path; wearing Army-Green in our youth and shades of blue through or adult lives. We are here to tell you it is not an esoteric concept, but a way of life. It has been our privilege and our personal mission to serve as your sheepdogs for the years you have spent at D-Y. Whether someone has elected to become a member of the thin blue line, the long gray line or a line flecked in digital pattern camouflage, that person has decided to walk the warrior’s path. It is a difficult path that is often misunderstood by those who have not traveled it. It is a path of discipline, a path of service, a path truth, a path of deep camaraderie and in the end it is a path of honor and one well worth walking.